3 has announced a deal that further separates it from other major mobile networks as it will now offer unlimited Skype to its customers. The news was unveiled today at 3 round table discussion, and will allow non-3 customers to pay a one-off fee of £1.99 for a SIM card and have free Skype calls and IM. From the 1 May, users will be able to buy a handset taking advantage of the deal, and at some point during the summer, 3 will open up the offer to all users, meaning if you have an unlocked phone (and one that supports a Skype client) you can join in. After buying the SIM card, users will be sent two text messages, one to install 3's internet settings and another to invite you download the Skype client. Voice and messaging will then be charged at the usual rates. 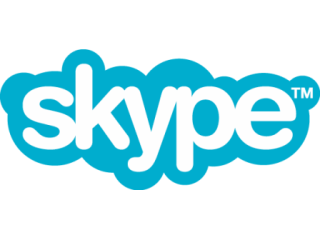 The move further highlights 3's efforts to distinguish itself from the other major networks, which appear to not be keen on allowing Skype through their data networks. Josh Silverman, President of Skype, said at the event: "[Some networks] have an explicit policy to not allow our data packets through. Will we see them doing the same with [censoring] political websites in the future? "I find it [their actions] offensive. When a user is buying data, they're buying an opportunity to use that data, and it should be up to them to choose which 0's and 1's they use." The new service will also be rolled out to existing 3 customers, and the company also anticipates lower cost handsets coming soon too to supplement the demand for the new Skype deal.